Four-Layer Cookies and Cream Cake with Salted Dark Chocolate Ganache and Vanilla Swiss Meringue Buttercream from OCD Cakes. Cake is a perfect dessert staple at almost any celebration, but it’s also an opportunity to showcase culinary creativity. These four local shops take your standard vanilla cake to the next level. Every parent needs the perfect themed party cake for a birthday celebration at some point. At 3 Sweet Girls, unicorns and mermaids are always a big deal, but all their designs are super-cool (we love their Lego guy cake). You can also choose from 100-plus cupcake flavors, from birthday cake to red velvet Oreo and strawberry shortcake. Brides serving cake at their wedding reception likely know all about A Spoon Fulla Sugar, a go-to for its beautiful, modern designs and delicious cake flavors (the signature is the hummingbird cake, a Southern spice cake with cream cheese icing). Most recently, they’re fresh off an appearance on Discovery Family’s Bake It Like Buddy television show. Whether you need a proper wedding cake with all the trimmings or just an emergency cake pop, this Covington storefront is on duty. The takeaway offerings are slim: cupcakes, cookies, the odd mini bundt here and there, but they’re an ideal impulse buy while you order your kid’s birthday cake. This bakery seeks to raise awareness of mental illnesses through its myriad tasty desserts. 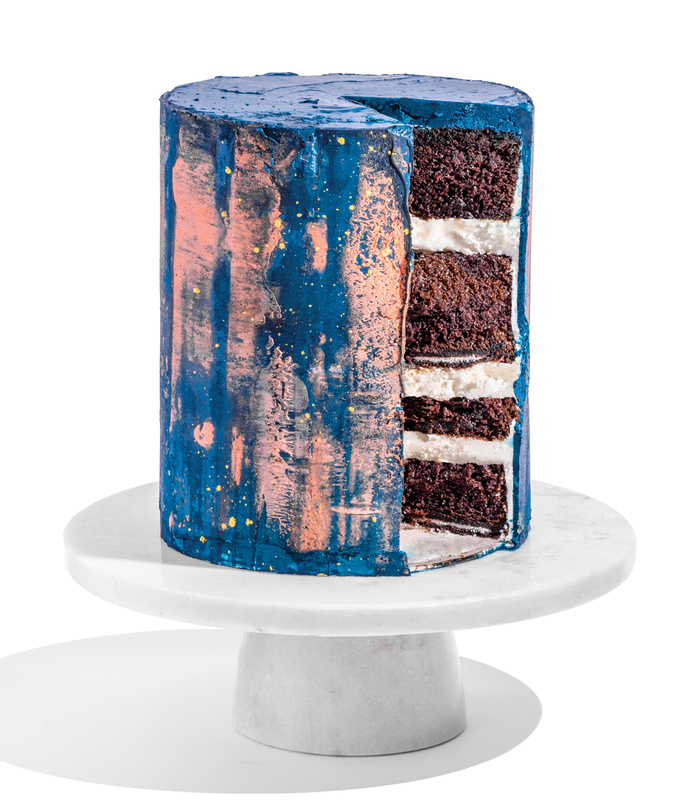 From minimalist cakes dressed with geometric fondant shapes, fresh fruit, or flowers to imaginative custom designs, this bakery’s owner and founder James Avant IV applies his obsession with perfection to create unique multitiered layer cakes for special occasions.